403 - Hands and Feet or Hearts and Minds? I hope you enjoy the podcast this week. 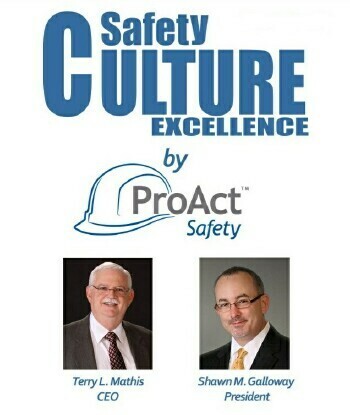 If you would like access to archived podcasts dating back to January 2008, please visit the store section at ProActSafety.com. For more detailed strategies to achieve and sustain excellence in performance and culture, pick up a copy of our book, STEPS to Safety Culture Excellence. 395 - Are you a DOC or COP? I hope you enjoy the podcast this week. If you would like access to archived podcasts dating back to January 2008, please visit www.ProActSafety.com/Store. For more detailed strategies to achieve and sustain excellence in performance and culture, pick up a copy of our book, STEPS to Safety Culture Excellence. 393 - Are You a Dictator or a Leader? 374 - Should Safety Pros Work Themselves Out Of Their Jobs? Greetings everyone, this podcast recorded while in Auburn Hills, MI. I’d like to share an article I wrote that was published in BIC Magazine. The published article can either be found on the magazine’s website or under Insights at www.ProActSafety.com.